Jerusalem (AFP) - Israel will press UN Secretary General Antonio Guterres on what it says is Hezbollah's arms buildup in Lebanon during his first visit to the Jewish state since taking office, the deputy foreign minister said Sunday. Guterres was due to arrive in the evening for meetings with Israeli and Palestinian leaders and officials, with the visit scheduled to continue through Wednesday. 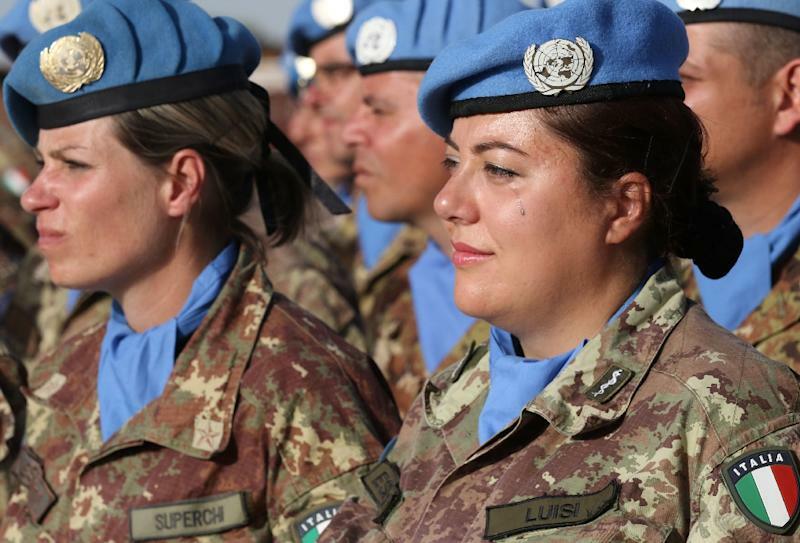 The trip comes as the UN Security Council debates renewing for a year the mandate of its peacekeeping mission in Lebanon, known as UNIFIL, with a vote expected on August 30. The US ambassador to the United Nations, Nikki Haley, has blasted the commander of the UNIFIL peacekeepers, accusing him of turning a blind eye to Hezbollah weapons smuggling. United Nations spokesman Stephane Dujarric has however said: "We have full confidence in (the commander's) work." Israeli deputy foreign minister Tzipi Hotovely told public radio on Sunday: "Haley was right." "We shall not allow this blindness to continue." She said that Hezbollah's deployment along Lebanon's border with Israel would be a "very central issue" in the discussions with Guterres. "He will meet the head of military intelligence and receive a briefing, and also meet the prime minister, and I am sure that he will not leave here with the feeling that the mandate given to the UN is being implemented on the ground," Hotovely said. Beyond meeting Israeli Prime Minister Benjamin Netanyahu, he is also expected to hold talks with Palestinian premier Rami Hamdallah in Ramallah in the occupied West Bank on Tuesday. Guterres has told the Security Council that he intends to look at ways in which UNIFIL could beef up its efforts "regarding the illegal presence of armed personnel, weapons or infrastructure inside its area of operations". As US President-elect, Donald Trump dismissed the United Nations as "just a club for people to get together and have a good time" and warned that things would be different after his inauguration. Since taking office in January he has proposed a dramatic cut of 60 percent of US funding for peacekeeping missions. Israel has long alleged bias at the United Nations against it and also plans to discuss that with Guterres. Hotovely said that, as a former prime minister of Portugal, Guterres has sharp political antennae and realises that under the current US administration there may be a price to pay for what she calls a long tradition of "almost anti-Semitic" UN bias against the Jewish state. "We find in him an understanding that his organisation risks losing not only its credibility but also its funding from the world's biggest and most important power, the United States," she said. "I very much hope that we shall see a change of direction in relation to Israel."